Natural Health News — A key constituent of hops can help protect against winter colds and respiratory illnesses. A Japanese study, financed it should be added by a Japanese brewery, reports that the compound humulone – a resinous compound that gives beer it’s characteristic bitter taste – was found to be effective in combating the respiratory syncytial (RS) virus. The RS virus can cause serious pneumonia and breathing difficulties for infants and toddlers. The virus tends to spread in winter and can also cause cold-like symptoms in adults. The research also found that humulone alleviated inflammation caused by infection from the virus. Humulone has long been known to have a mild antibiotic/bacteriostatic effect that favours the activity of brewer’s yeast over less desirable microorganisms – which is why they are so useful in brewing. But before you reach for a bottle or can take note; beer contains such small quantities of humulone that you would have to drink around 30 cans, each of 350ml (12 oz), for it to have a medicinal effect. And, of course, alcohol doesn’t do much for your immune system. That’s the bad news. The good news is that, although the seasonal timing of this report (which in many cases was given the headline ‘Beer is good for you’) is certainly cynical, the findings are not out of line with what we already know. The medicinal qualities of hops have been known for centuries, and previous studies have confirmed the anti-viral effect of hops against the rhino virus and several others. Experimental research also shows hops inhibit the growth of a host of bacterial strains, including a number of gram-negative bacteria, anaerobes, and various pathogenic species of Staphylococcus, Clostridium, and Salmonella. They can also inhibit the growth of methicillin-resistant Staphylococcus aureus (MRSA), a major cause of both hospital- and community-acquired infections. Hops’ antibacterial qualities also stimulate gastric juice production and support a healthy gut, which in turn can help improve immunity. 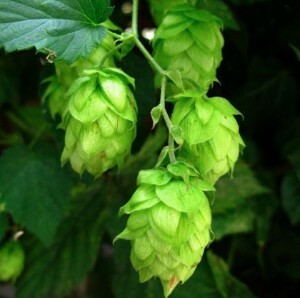 Hops also contain another compound, humulene, which is present in the essential oil of hops, and is responsible for the characteristic ‘hoppy’ aroma of beer. Humulene is known to have anti-inflammatory properties. Humulene is also one of the chemical compounds that contribute to the taste of the herb Vietnamese coriander and it is also found in the cannabis (Cannabis sativa) plant. Hops are used in herbal medicine in a way similar to valerian, as a treatment for anxiety, restlessness, and insomnia. A pillow filled with hops is a popular folk remedy for sleeplessness, and animal research has shown they have a sedative effect. A 2006 study found that consuming non-alcoholic beer improved sleep quality in healthy women working shifts. 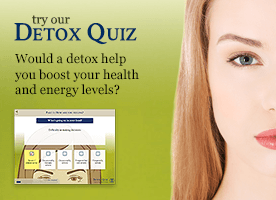 This relaxation response may also be an important aspect of the immune protection gained from hops, since stress can depress the immune response. So, if you’re running short of holiday cheer or the stress of the season is getting to you, hops – in whatever form you choose to consume them – could well be the answer. Cheers!